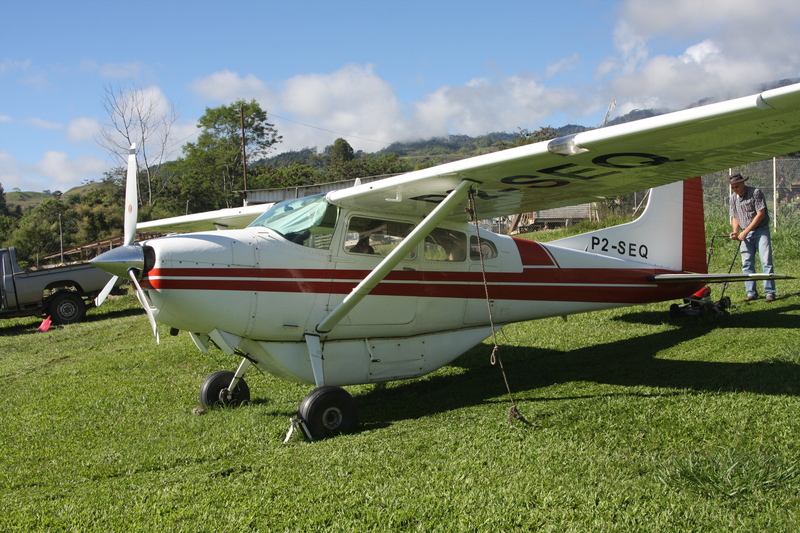 I was heading to Wau, Papua New Guinea to install a rudder on the Cessna 185 airplane that missionary Jim Blume owns. 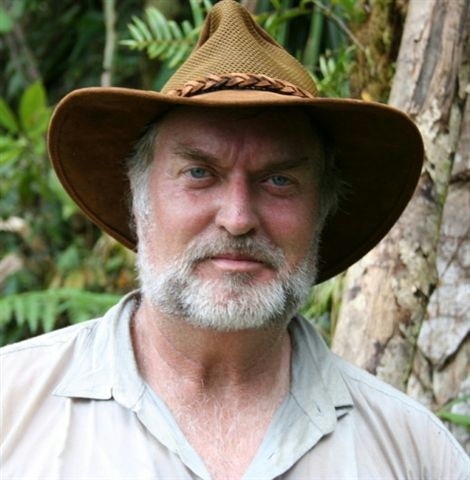 Jim had helped with the transportation on two of my expeditions (2006 and 2007) into the Tawa area of Papua New Guinea. It was here in this area of Tawa, actually Bianu Vilage, I saw and recorded the bio-luminescence of the flying creature the locals there called Indava Bird. Since I was to be in Papua New Guinea already it seemed natural for me to stay a couple of extra weeks to do more continuing research into this creature known by many names, Ropen, Duah, Dewas, Wawanar, Sekleo Bali, and many others. Knowing I was not in any way in the physical condition necessary to hike the rugged trail from Tawa to Bainu Village I started to look into what would be a suitable area to research. In 1944 Duane Hodgekinson had an experience which started all this research into a possible living pterosaur, when he saw his sighting around the village of Finschhafen just after the end of WWII. Then in 2005 Casey W. had what I call a night time incident (read these and others reports at www. 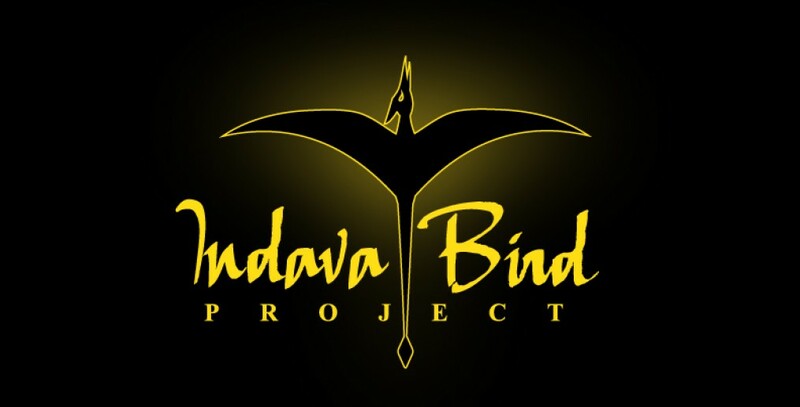 Indavabird.com ) also just outside of Finschhafen, Papua New Guinea. 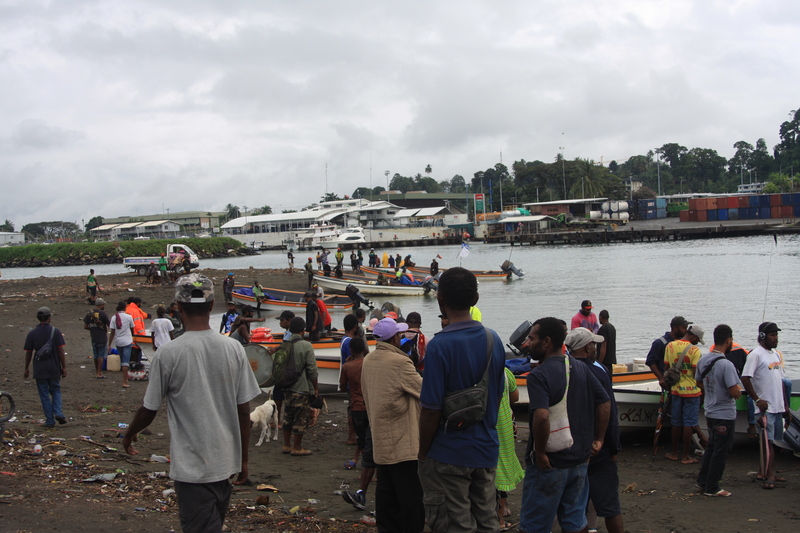 Finschhafen was only about 70 miles from the major city of Lae. No roads and there is no longer any reliable scheduled ferry going to Finschhafen as there was in 1994 and 2002 when I traveled to Umboi Island. 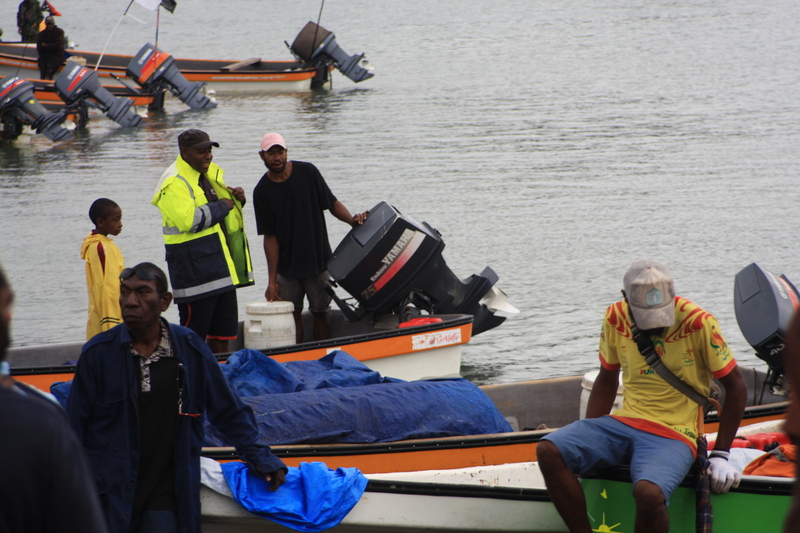 So I went to Voco Point in Lae and found a speed boat which was going to Finschhafen. Paid my 100 kina and waited another four hours till the speed boat had en ough paying passengers who were all going to Finschhafen. I found out that a speed boat is just a banana boat with a bigger engine making it go faster. The 70 miles by speed boat only took three and a half hours of wave pounding sitting on the bottom of the banana boat. Arriving in Finschhafen I found a guesthouse to stay for a couple of days. I had planned on traveling up the coast making inquires and hopefully reach Sialum Station. However torrential rains had made the one road to Sialum impassible in several spots so I had to satisfy myself with other areas of investigation. The guesthouse turned out to be a very favorable spot for me to have people find me, to relate stories and incidents to me. Normally I travel to the villages and search out eyewitnesses, etc. 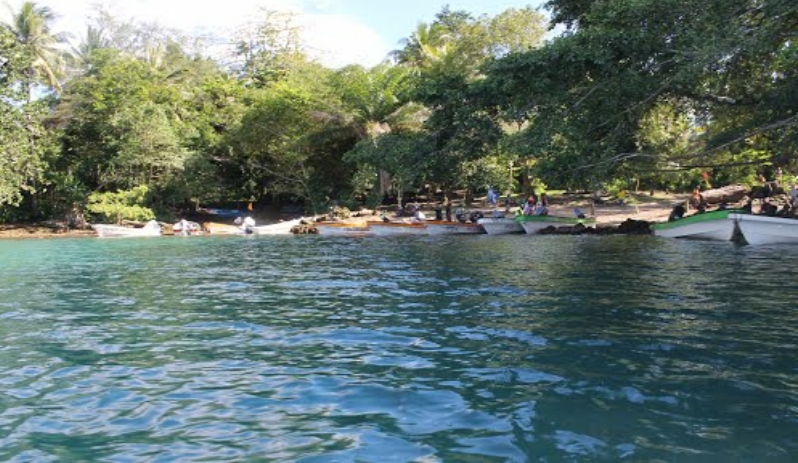 I traveled to the west as far as Kwalansam Village and north up the coast road to Bobomgara River. These areas provided no new information concerning the creature I was researching. During some of my investigation I heard about possible incidents in the remote mountainous area around Pindiu which was north west of my area. The reports from Pindiu revolved around a large eagle type bird called the “Kunta”. This large bird had feathers and was shaped much like the sea eagles they were familiar with. Only the wingspan was estimated to be 10 to 12 feet, much larger than a typical sea eagle wings of 6 feet. One evening, the policemen staying at the same guesthouse as I brought in a young woman with an injured foot. Nothing real serious but the first aid center was not open so they had her wait on the veranda where I was talking with other policemen about the creature I was looking for. As Bridgette heard the policemen talking in Pidgin english about what I had been asking them about, she said she had seen the creature just last year. The policemen quickly started telling me what she was telling them. Seems that Bridgette is from Omom, Barang Village on Umboi Island. Just last year she watched a red glow fly across the village of Omom, Barang to Mount Tanglup and land. Remember Umboi Island had a recent reported sighting of the creature flying over some loggers in daylight just back in March 2017. Although I personally did not get any more new information, I did make about 20 very good contacts who live in very remote areas of the North Coast/Huon Peninsula. These were mainly school teachers who were flown down to Finschhafen for the national election ballot counting. These men visited with me, some more than once, and were very interested in continuing my research in the areas they live. Many had heard of the stories from the elders, but had not any new information about this creature. Mainly because they were not even aware that the possibility of such a creature still living in their area. I left my contact information with them so if anything remotely close to what I described to them is seen, they will contact me by email. ← False start now to continue on. It only takes time and money, like any good research, lol. Great post, fortuitous timing and pretty pix!